Teachers in mainstream schools are increasingly confronted with children with severe emotional and behavioural difficulties, for whose performance and effect on the rest of the class they are held accountable. Often exclusion seems to be the only option. This book shows that it is not. 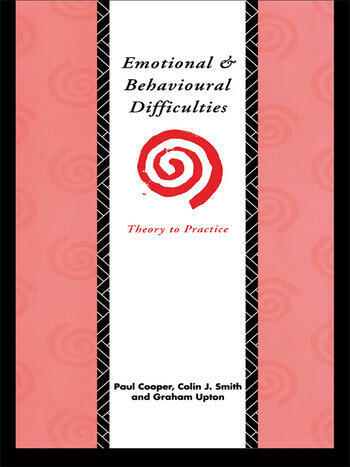 It provides a concise, clearly written guide to the major approaches which can be used to deal with emotional and behavioural difficulties - their possibilities and their pitfalls. It will be invaluable reading for special needs coordinators, individual teachers reflecting on the issue in their own classrooms and heads wishing to establish whole school approaches to the problem.